This year’s World Economic Forum (WEF), which finished on Friday, has been noteworthy as much for its absentees as those who attended. 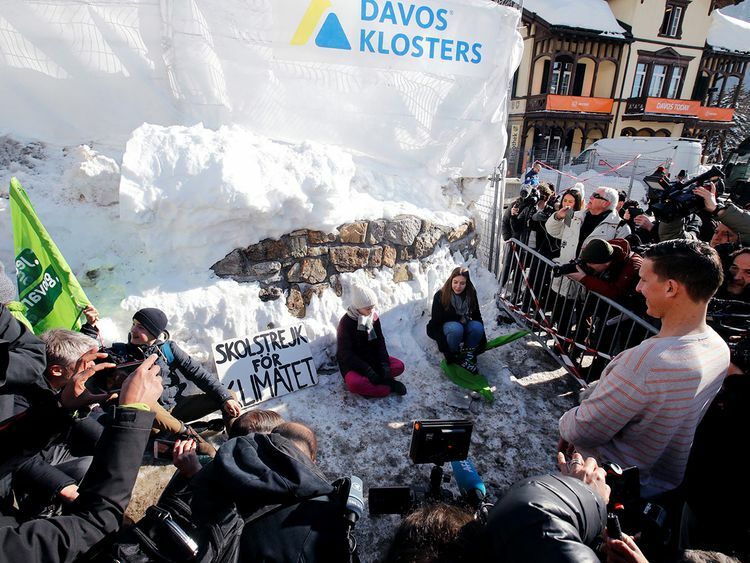 Amid mounting global fractures from US-China trade tensions to Brexit, leaders from President Donald Trump to Chinese President Xi Jinping and British Prime Minister Theresa May, skipped the Swiss snow to firefight at home. This context of rising political and economic risks was also the central message of WEF’s 2019 Global Risks Report released last week. In a gloomy prognosis, it points to a clear deterioration in the global landscape with a potentially toxic cocktail of environmental risks, cyber threats, and geopolitical dangers. As the report lays out, what this means is that at the very time that coordinated, concerted action is needed to tackle these threats, there is less collective international will to do so. Ironically, it is some of these mounting issues which led not just Trump, but also May and French President Emmanuel Macron to pull out of Davos.With Xi, Russian President Vladimir Putin and Indian Prime Minister Narendra Modi also not attending, this thrust the limelight onto others including Japanese Prime Minister Shinzo Abe, German Chancellor Angela Merkel, Italian Prime Minister Giuseppe Conte and Brazilian President Jair Bolsonaro, who did participate. These leaders, alongside 3,000 others from the public and private sectors, discussed the multiple challenges now confronting the international order. According to the WEF, it is environmental risks, such as biodiversity loss, extreme weather events, man-made disasters, natural disasters, and failure of climate change mitigation and adaptation, that are most urgent to tackle with the “world most clearly sleepwalking into catastrophe”. On the global warming front, for instance, alarm bells were most recently rung at last month’s UN climate change summit where the post-2015 Paris treaty international consensus around tackling this issue was under attack by multiple key governments, including the United States, Brazil, Russia and Turkey. This threatens to slow the pace of global efforts to decarbonise, and it is clear that climate sceptics such as Trump and Bolsonaro now need to be faced down with their views. Trump and Bolsonaro have lambasted the Paris agreement arguing it is either a grand hoax and/or unwelcome distraction, despite the now overwhelming evidence about the risks of global warming. Yet, even if, remarkably, it turns out that the vast majority of scientists in the world are wrong about global warming, what the Paris deal will help achieve is moving more towards gradually cleaner energies, making the world a less polluted and more sustainable place. And given that scientists are much more likely to be right in their conclusions than Trump and Bolsanaro, the consequences of a failure to act now, as climate sceptics advocate, will be the growing probability of devastating environmental damage to the planet. On the geopolitical front, the WEF report pointing to the growing risks of “political confrontations between major powers”. The array of challenges here include Russia’s annexation of Crimea, and the fact that Washington’s relations with Moscow are perhaps now more strained than at any time since the collapse of Soviet Communism; the collapse of the Israeli-Palestinian peace process; US-China trade tensions; and continuing instability in Syria and Afghanistan. While the agreement is by no means perfect, it nonetheless represents a welcome shot in the arm for attempts to tackle global warming and, crucially, a new post-Kyoto treaty framework has been put in place. Moreover, the review framework means that countries can toughen their response to climate change in the future, especially if the political and public will to tackle the problem increases with time. So Paris is a potentially very important stepping stone and what is now needed are well-informed lawmakers from across the political spectrum to help ensure effective implementation and hold governments to account so that it can truly deliver. Meanwhile, the rise of China, which has now surpassed the US as the world’s largest economy on purchasing parity terms, has potential to drive greater global stability in a fruitful G2 partnership, rather than a growing source of tension with Washington, as now. During the Obama presidency, bilateral relations remained generally cordial with both nations recognising the super-priority of the relationship, and Washington pursuing a strategy that promoted cooperation on softer issues like climate change, while seeking constructive engagement on vexed, harder issues such as South China Sea tensions. Yet, under the Trump presidency, there are growing prospects of bilateral rivalry, rather than an increasingly cooperation. And this is likely not just on the economic front, but also political realm if Beijing’s military power continues to grow rapidly, and the country embraces an increasingly assertive foreign policy stance toward its neighbours in Asia. Taken overall, while risks may be rising significantly, there are also significant opportunities too. Going forward, perhaps the biggest uncertainty is over the direction of the US-China bilateral relationship. While this is currently tense, a deeper, collaborative partnership remains possible if the two can resolve their economic and political disputes in a grand bargain that renews bilateral relations into the 2020s under Xi and Trump.